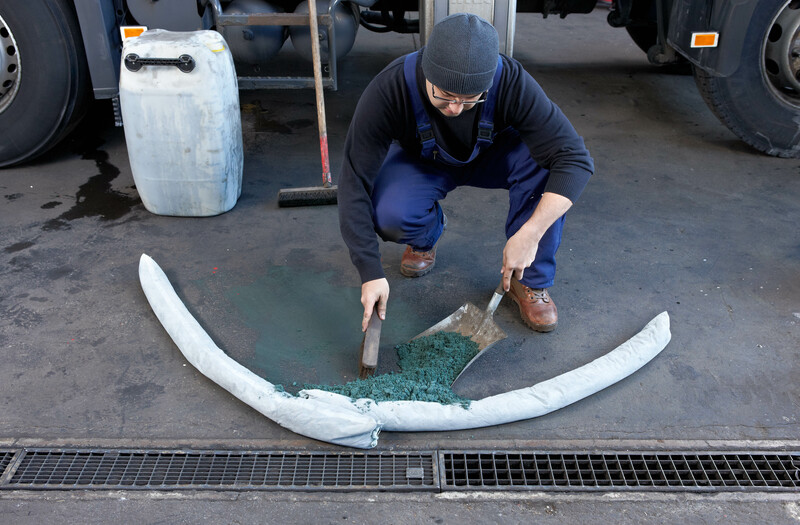 ​The TÜV certified oil and chemical binder Green Stuff​® is unique in the combination of its features. 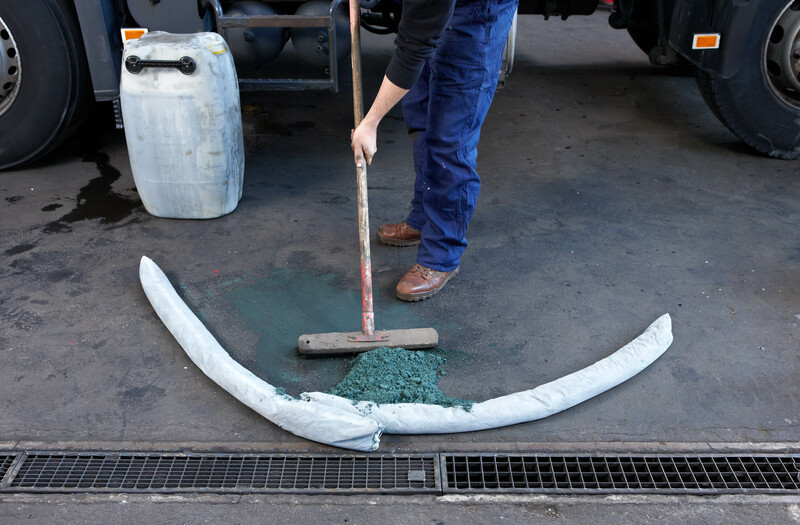 ​It is characterized by huge absorbency, particularly fast absorbing performance – decisive product features for oil and chemical sorbents in case of an emergency – and its as yet ​unrivalled absorption capacity with pasty substances. The low weight makes its handling ​very easy and optimises disposal costs. ​The Absorbent Concentrate Green Stuff is available in the classic bag form and with the right size for every use. Whether small and refillable with closure or handy and compact. 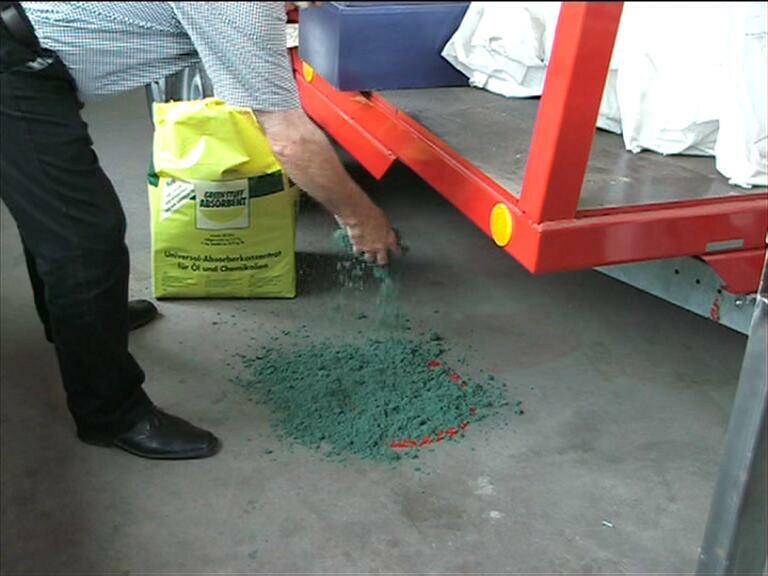 ​​​​Oil and chemical binder in granules: the best way to deal with thick substances. What to do when a pasty, i.e. 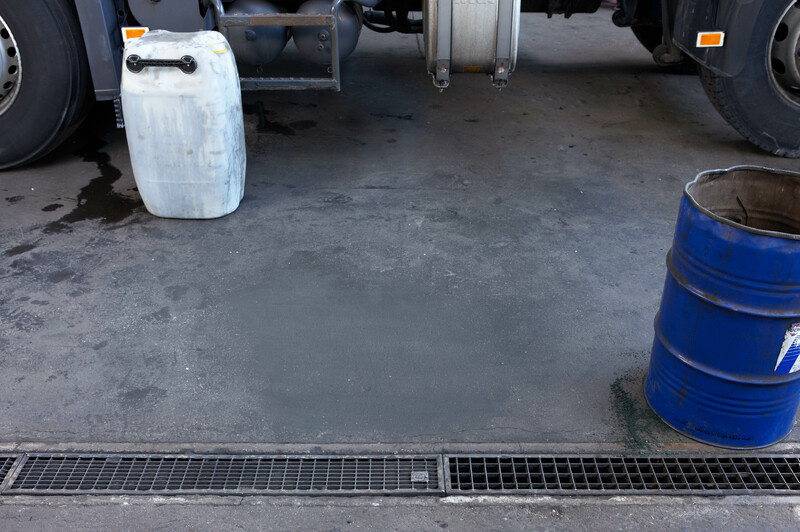 viscous, material such as paint, resin, varnish or adhesive leaks onto roads, industrial surfaces or factory floors? 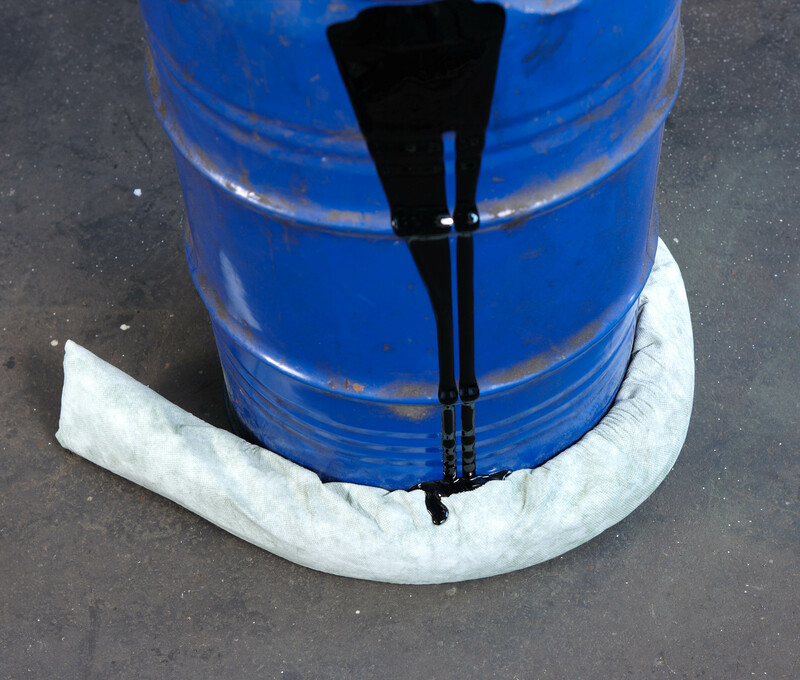 Or when, during repair works or filling procedures, spilled oil or a watery liquid should be contained, stopped or collected? 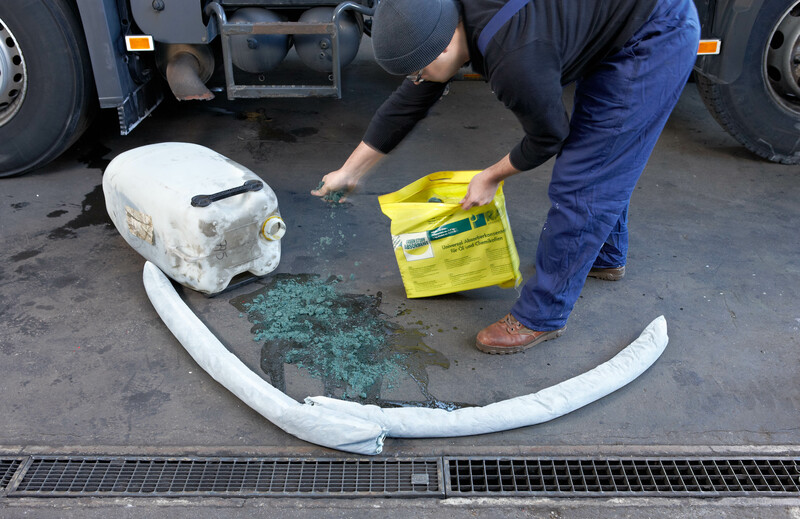 The binder for oil and chemicals Green Stuff® Absorbent Concentrate. 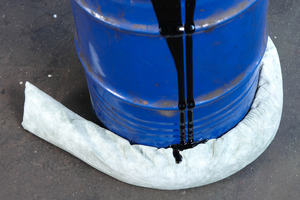 In sacks with a capacity of 10, 50 and 100 litres each for being scattered onto the spill surfaces, in oil booms and socks to contain and in absorbent pillows to capture liquids. 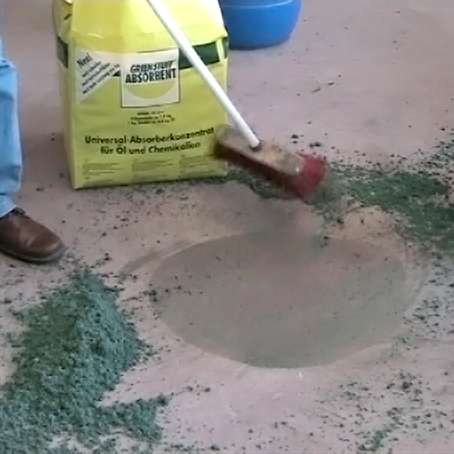 ​​​Absorbent granules: fast, super absorbent, versatile and safe. Extremely fast For nearly all liquids – highly absorbent and extremely fast absorbency. For example, only 1 kg of Green Stuff® Universal Absorbent Concentrate is able to bind up, within a few minutes, a total of 8.4 kg of heating oil. For granules an absolute top value! Super absorbent Very strong and high absorbing performance in interior areas but the product also excels in outdoor applications. The ideal binder when it is necessary to absorb a pasty, i.e. viscous, substance such as resin, varnish, adhesive, etc. 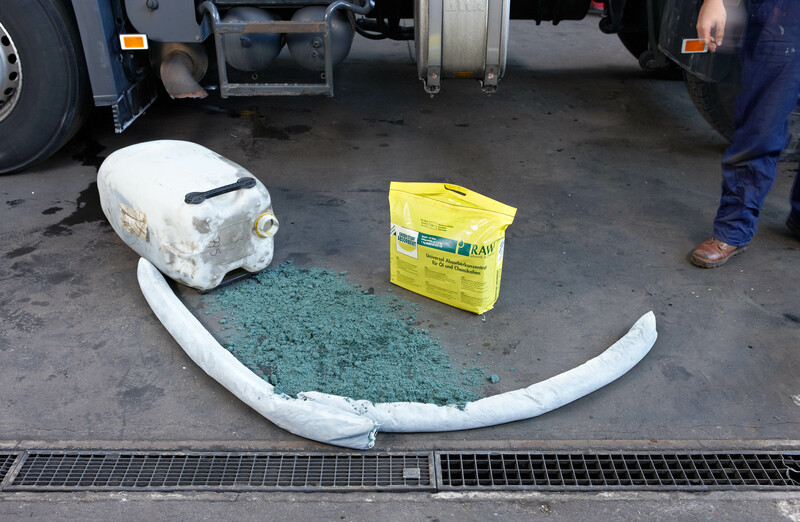 Amazingly versatile In different sack sizes in the form of granules for small to large spill areas. In socks or pillows for special fields of application. User-friendly, non-toxic. Absolutely safe The Green Stuff® technology is TÜV certified. The excellent absorbing and binding properties of Green Stuff® Universal Absorbent Concentrate have been clearly proven in their entirety. The technology used for producing Green Stuff® products guarantees high user benefit. Independent institutes have repeatedly proven the advantages of Green Stuff®. 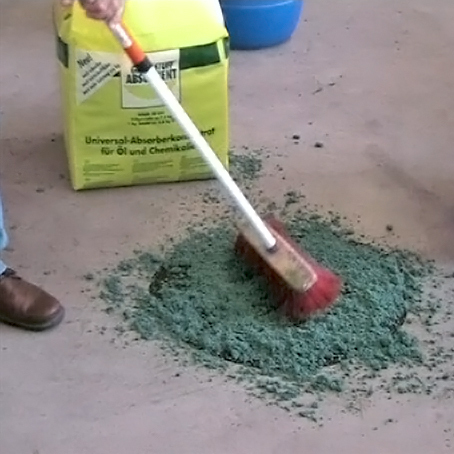 Green Stuff® is fast absorbing and starts working immediately. The underlying surface becomes slip resistant again within a very short time. 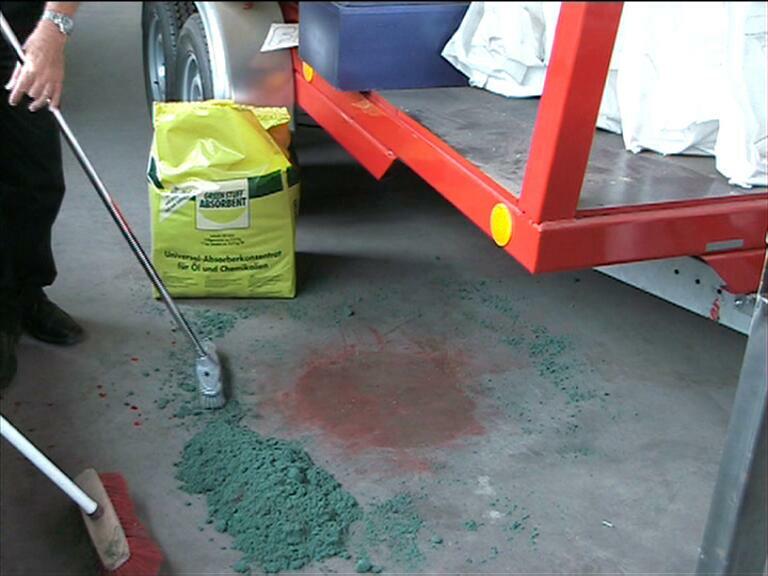 Green Stuff® is not toxic and poses no risk to the environment. 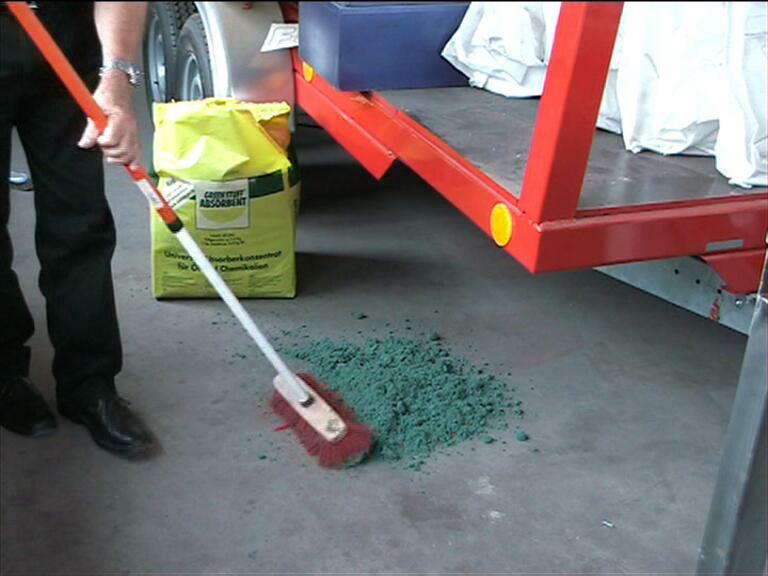 Disposal is uncomplicated and carried out in accordance with the disposal requirements for the absorbed substance. 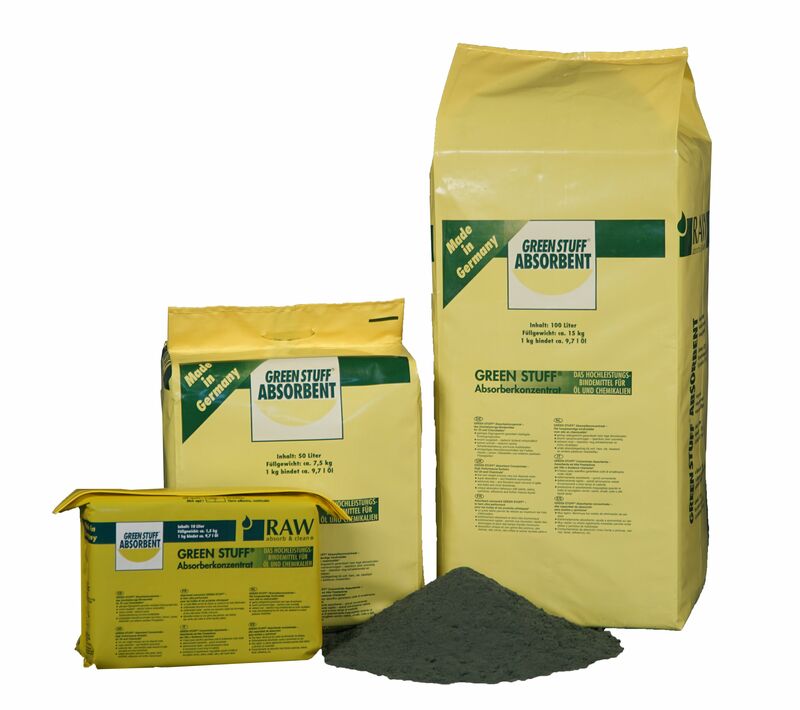 Its extreme absorbency and extraordinarily low own weight make Green Stuff® so effective. 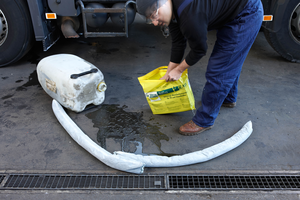 Already a small quantity of absorbent concentrate is sufficient for collecting large amounts of fluids. Thanks to its low weight and the residual content of ashes of 0,2% (for granules an exceptional value), the disposal costs are kept down. 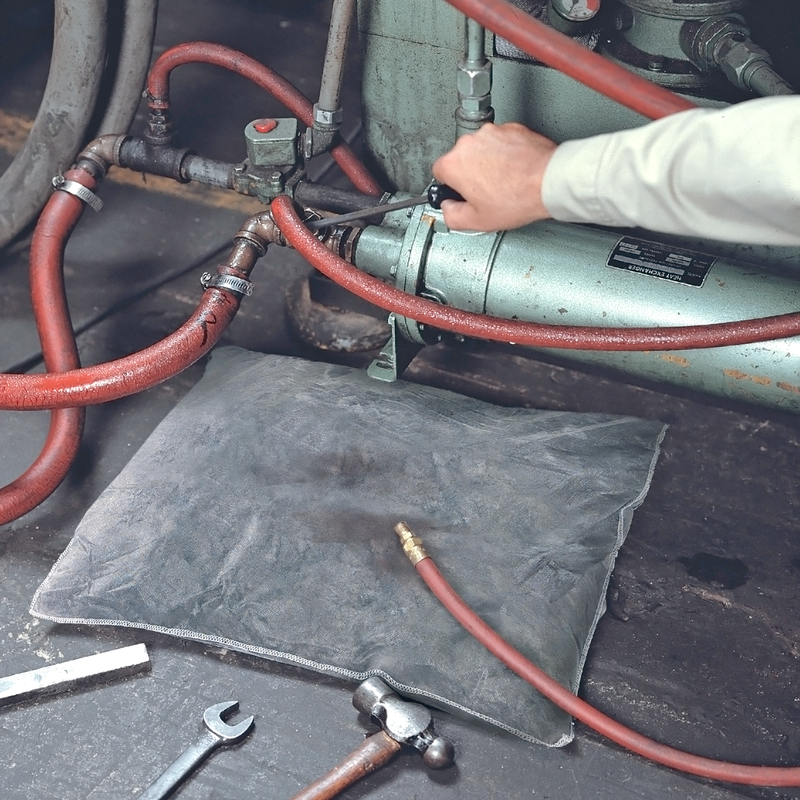 Due to its low weight and the correspondent susceptibility to wind forces, the absorbent is used as an oil and chemical binder for a variety of applications in indoor areas. But the product also excels in outdoor applications, when it is necessary to absorb a pasty, i.e. viscous, substance such as resin, paint, adhesive, etc. 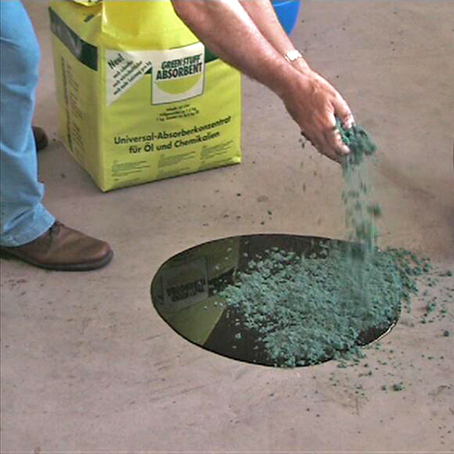 ​The Absorbent Binder in granules for oil and chemicals Green Stuff is universally useable, with proven benefit and tested user safety. This was demonstrated with 60 different chemicals in 12 substance groups. 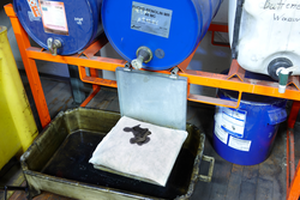 Not for use with strongly oxidising chemicals (for detailed information see TÜV Report).